We are delighted to celebrate the induction of Dr. Arnold Naimark, Chair of Genome Prairie’s Board of Directors, to the prestigious Canadian Medical Hall of Fame. This induction recognizes Dr. Naimark’s impressive achievements as well as his significant impacts as an educator and leader in Manitoba’s medical research community. The Canadian Medical Hall of Fame induction ceremony took place on May 2, 2013 in Halifax, Nova Scotia. 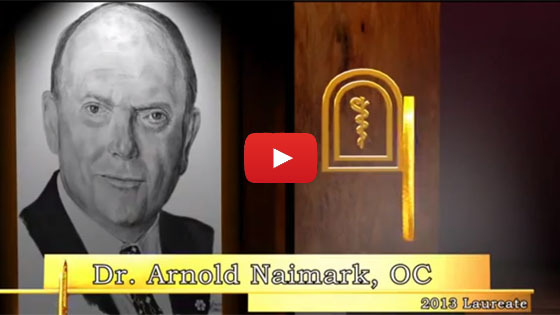 A video from the Canadian Medical Hall of Fame showcasing Dr. Naimark’s distinguished career is embedded below.